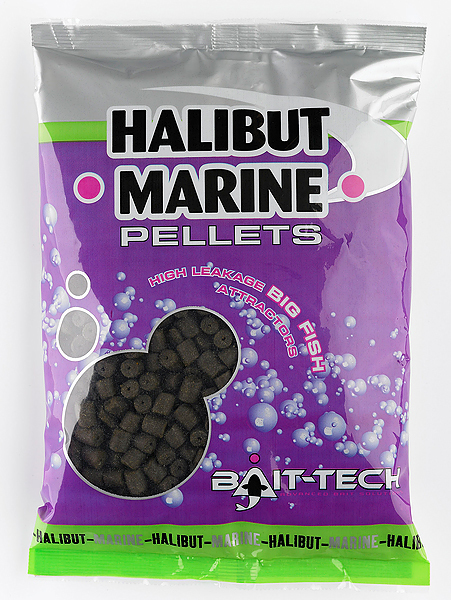 If there's one type of pellet you could use for the rest of your fishing days then you would choose Halibut Marine Pellets, the ultimate big fish bait. A proven big fish catcher in the specimen world & equally as effective for smaller commercial carp, or river barbel. These high protein, high oil pellets are packed with high leakage attractants that will slowly release in your swim. A slow breakdown means higher attraction levels over longer periods, perfect for big fish anglers and proven as THE pellet on many of today's top waters. Available in standard pellet form in 3mm, 4mm, 6mm and 10mm and in a pre-drilled in 8mm, 12mm, 16mm and 20mm for easy hair rigging.